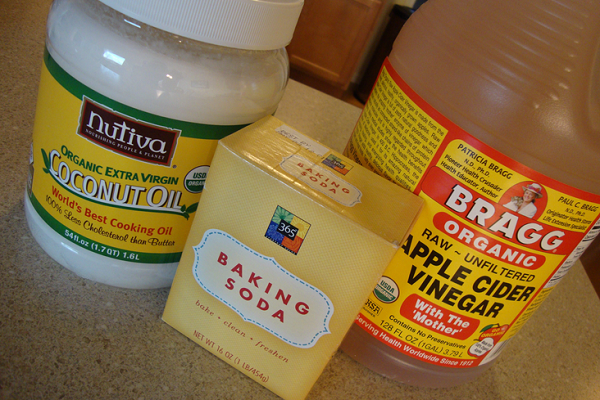 Coconut Oil, ACV and Baking Soda…Oh Lord! All of us feel the need to purchase something that is great for our overall well-being, however buying these items can be quite expensive. All of us hate going to a store and spending hundreds of dollars on over-priced products which you kind of actually really need, such as face creams, hair wash, toothpaste, etc. If you can’t live without certain products and want to save up some money and get the same quality and while making sure your health is intact. Now you probably ask yourself, how could this be possible? Getting everything you want and need without spending a fortune? Well, the answer is turning to organic and natural products which you can prepare by yourself and use them without any side-effects and for many purposes as well. Here are the 3 main products that you can buy for less than $20, but can take care of your beauty and will keep up the routine, and also will maintain your overall health (this goes for men too). Keep in mind to always purchase an unpasteurized, unheated, unfiltered and ACV for the purpose of getting all of the proper benefits. Look for a cold pressed extra virgin (virgin), natural, unprocessed and unfiltered coconut oil. Try to find pure baking soda, from the brand Bob’s Red Mill.